Measure out 4 cups of water. Pour the water into Bowl 1. Pour 4 more cups of water into Bowl 2. Add 2 tablespoons of salt to Bowl 2 a little at the time, stirring until the salt is completely dissolved. Leave both bowls in the freezer overnight. Check to see if both bowls are frozen. The water in Bowl 1 should have frozen. Bowl 2’s water should still be liquid. The water in Bowl 2 approximates the same concentration of salt found in the ocean’s water. Salt is the key to understanding our experiment’s results! Here’s why: The more salt in the water, the lower the temperature has to be for the water to freeze. This is why the ocean doesn’t freeze: There’s too much salt in it. Bodies of water located farther inland like islands and rivers have less salt in them, allowing them to freeze when the temperature drops to 0 degrees Celsius. The beauty of science is that we never run out of opportunities to learn. 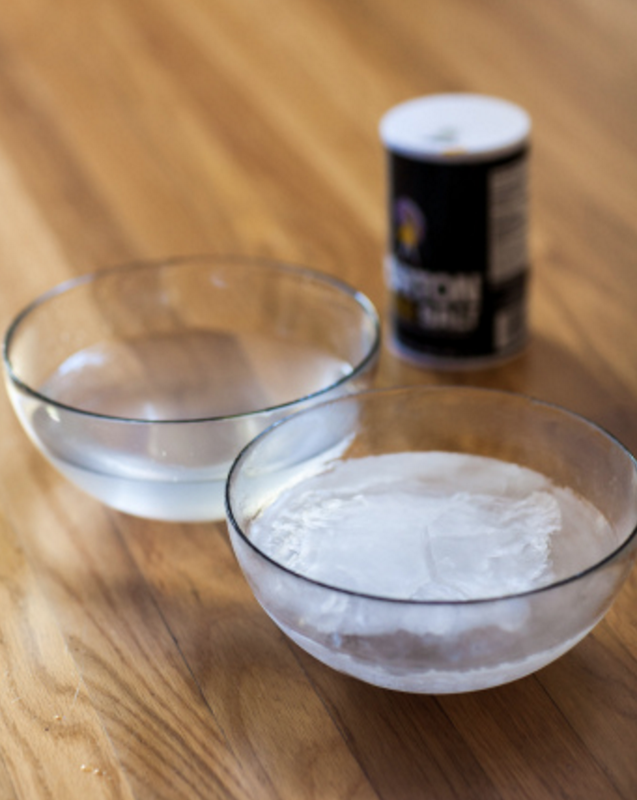 Try repeating this experiment with several bowls of water of varying salt concentrations. Which ones freeze? Which ones remain liquid?